A breakthrough was made this week at the World Islamic Banking Conference in Bahrain to ensure gold is an accepted product under strict Sharia finance rules. This news is a major boost to the gold market after recent rumours circulating that India are considering restricting gold imports. While many gold bugs feared the news coming out of India, gold has once again proven it’s endurance as a huge new market opens its doors. After lengthy negotiations, the World Gold Council (WGC) and the Accounting and Auditing Organisation for Islamic Financial Institutions (AAOIFI) have agreed guidelines for gold and silver to be actively traded by Islamic financial institutions. Negotiations have taken more than a year to finally lay out uniform Sharia finance guidelines for gold. The previous fragmented and ambiguous treatment of gold was a major hindrance to its development within the Islamic world. 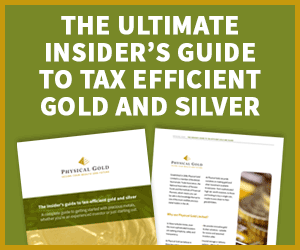 The WGC anticipate the new ruling will ensure gold is a more widely accepted investment. How will gold work within Sharia finance? Parameters have been laid out to satisfy strict Islamic restrictions on speculation. Any gold trades must be fully backed with physical gold and settled the same day to qualify as economic activity rather than a speculative investment. Trading gold for future value is not permitted. The rules allow purchasing gold through agents which will permit buying gold backed Exchange-Traded funds (ETFs), Gold Certificates, mining shares and online retail platforms. Full acceptance of gold within Sharia finance is overdue, joining the previously approved asset classes of property, equities, Islamic bonds (Sukuk) and insurance products (Takaful). and Islam is the fastest growing major religion. Sharia acts as the legal system to the entire Islamic world. While desire for gold has existed within the Muslim community, fear of infringing Islamic law has held back demand. The clarity of the new directives is anticipated to significantly boost gold demand and therefore the gold price. Demand for physical gold is expected to be the biggest beneficiary of the new ruling due to the strict parameters placed on alternative gold backed investments like mining shares. The huge historical Indian demand for gold demonstrates the potential the Islamic world has for precious metals. If only 1% of Islamic financial institution funds were assigned to gold, that would equate to roughly 500-1000 tonnes per year. With an estimated current surplus of only 172 tonnes, upward pressure would be placed on the gold price. The possible significance of the $2 trillion Islamic market for gold demand is only matched with the impact that gold may have on Islamic finance, with the gold market worth an estimated $2.4 trillion. The new directive will increase diversity of gold investment types available within Sharia law. It will also introduce gold to those Muslims who have always been reticent of breaching laws. While the guidelines are likely to support the gold price, the sheer size and influence of the Islamic community may also have other influence. Speculation has dominated the gold market due to the huge size of the Chicago Mercantile Exchange (COMEX) and London markets. The Sharia gold standard may well redress that balance. Certainly, Islamic finance will have a greater say in the setting of the gold price over the coming years. While it’s always tempting to focus on gold’s day-to-day volatility, it acts as an effective hedge against volatile markets and inflation over the long term. With 1.6 billion Muslims set to benefit from the greatest access to the gold market in modern history, gold once again demonstrates its universal appeal and longevity. This entry was posted in Blog and tagged Gold Investment, Physical Gold, sharia law. Gold, Silver Disappoint After U.S. Election Surprise. What Now?